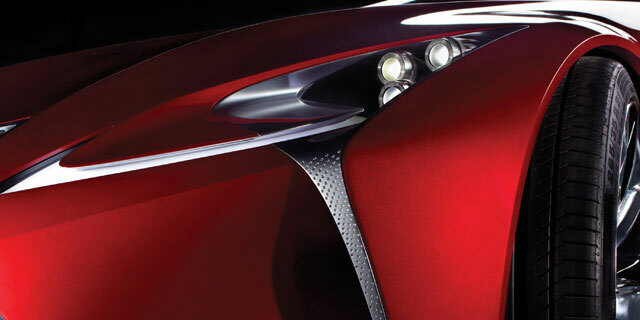 According to the Lexus Netherlands blog, the new concept set to debut at the Detroit Auto Show is called the LF-LC. The LF is the standard code for a Lexus concept, and stands for Lexus Future. The second L is more difficult to decipher. From my understanding, the L in both the LS & LX stands for “luxury”, and if the same holds here, it would suggest that this new concept is at the high-end of the lineup — an idea backed up by the level of luxury in the interior shot released today. Finally, the C would indicate that we’re looking at a coupe (or a convertible coupe, though I doubt it). One letter that’s missing is a lowercase h, which could mean the LF-LC will be the first non-hybrid concept from Lexus since the original LF-A concept in 2005. If anything, it’s that second L that reinforces my hope that we’re looking at a design study of the next-generation SC — combine that with the interior we saw today, and a new SC concept has to be the odds-on favorite to be revealed on January 9th. krew: Just working on a composite image from the video -- post will be up shortly.